The Birdland All-Stars, featuring Tommy Igoe, is one of the eclectic acts scheduled this spring at the City Opera House. Music lovers may recognize Igoe’s name as a world-class drummer; more people would be familiar with the remarkable music from Disney’s The Lion King, for which he created the drum set book. Featuring music by Elton John, the beloved Disney classic is now acclaimed as the most successful musical in history. The Birdland All-Stars will be joined by an artist who will paint during the show, creating a work of art inspired by “The Art of Jazz,” on February 25th. For a totally different evening, theater-goers could view “A Midsummer Night’s Dream” at the Old Town Playhouse in March. William Shakespeare’s most popular comedy about an unlikely group in an enchanted forest will be performed as a low-sensory, relaxed experience, according to Phil Murphy, executive director. “This performance adds yet another dimension for our community,” stated Murphy. “Our ‘Young Company’ program caters to youth ages 8–18, and our ‘Aged to Perfection,’ series is designed for elder members. Both epitomize our commitment to the broader community,” stated Murphy. 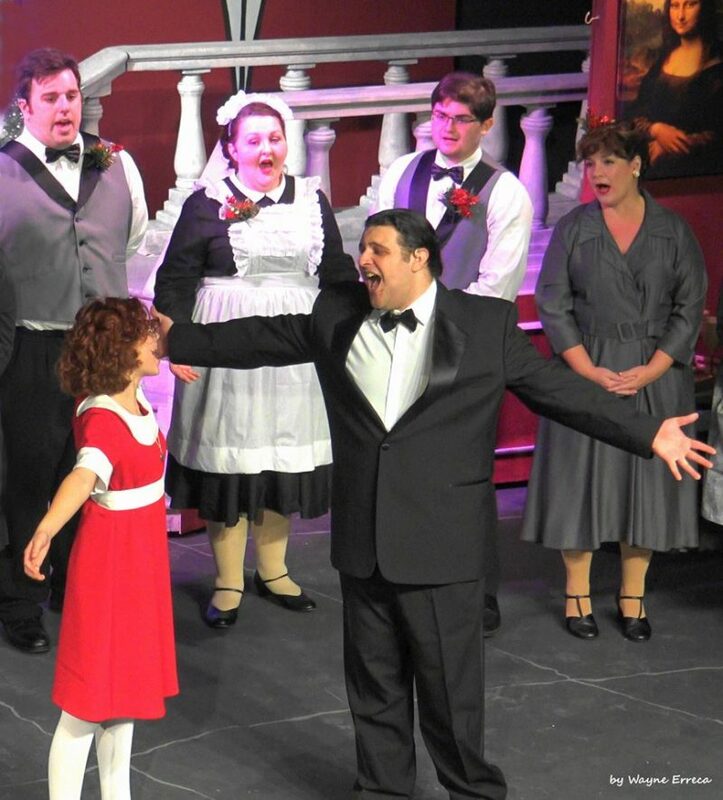 The mission of the Old Town Playhouse (OTP) is to be a volunteer-based organization promoting quality community theatre experiences for the people of Northwest Michigan, through entertainment and education opportunities in the theatrical arts. “Patrons have been coming to the Old Town Playhouse for 58 years, returning to experience quality and commitment in performance. The theater finds it rewarding to present popular, family entertainment to the community,” according to Murphy. Established in 1960, the OTP has two stages. The Mainstage has 277 seats, and, in addition to “A Midsummer Night’s Dream,” this stage will perform other great shows this spring. In February, “Arsenic and Old Lace,” a farce on plays involving murder and a longtime regional theatre favorite; in May, “Young Frankenstein,” in which a mad scientist follows in the shoes of his ancestors and hilarity ensues. At the Studio Theatre, which has only 80 seats, spring productions will include the romantic comedy “Romance Guaranteed” in February, and in April, “The Father,” a tragi-comic mystery through the eyes of a man with dementia. The OTP season concludes in May and resumes in September. Alternatively, The City Opera House is open year-round and hosts events of all sizes. In partnership with Michigan State University’s renowned Wharton Center for Performing Arts, the City Opera House presents two series, “Performing Arts” and “LIVE at the Opera House.” It also provides multiple arts education programs for learners ages 8-18 and hosts an active schedule of public and private community events, such as the National Writers Series and the Traverse City Film Festival. Opened in 1892, the magnificently restored City Opera House is one of a few remaining Victorian opera houses built in Michigan in the 19th and early 20th centuries and is included in the National Register of Historic Places. Superior acoustics resonate among the dramatic barrel vault ceiling, fresco paintings, gold leaf accents, and Victorian styling. The 680-seat theater will present many performances this spring. April 16 – Rodney Crowell, a widely respected and recognized singer/songwriter and two-time Grammy winner, has garnered success with such artists as Bob Seger (“Shame On the Moon”) and Keith Urban (“Making Memories of Us”). Theater-goers of all interests and all ages can say “Bravo!” to Traverse City’s theaters!